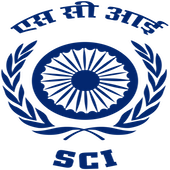 Shipping Corporation of India Ltd. (SCI) has published a Advertisement for below mentioned Posts 2015. Check below for more details. MEO Class I COC issued by Government of India for the post of Deputy General Manager (OR) MEO Class II COC issued by Government of India/ MEO Class III COC (NCV) Chief Engineer issued by Government of India for the post of Manager. Selected candidates holding MEO Class I COC would be placed as Deputy General Manager. Selected candidates holding MEO Class II COC or MEO Class III COC (NCV) Chief Engineer would be placed as Manager. Experience - For the post of Deputy General Manager, minimum sailing experience (article period) as Chief Engineer holding MEO Class I COC should be 36 months as on 01.01.2016. (OR) For the post of Manager, minimum sailing experience as Second Engineer holding MEO Class II COC OR MEO Class III (NCV) Chief Engineer should be 24 months as on 01/01/2016. Master (FG) issued by Government of India (OR) MEO Class I (FG) issued by Government of India. Minimum sailing experience (article period) as Master (FG) / Chief Engineer Officer (FG) should be 36 months as on 01/01/2016. 3 years full time Bachelor's Degree in Commerce i.e. B. Com from Institutions / Colleges and Universities / Deemed Universities duly recognised by UGC. 02 years work experience in accounting in a Public / Private Limited Company. Selection Process: Shortlisted candidates would be called for personal interviews at Port Blair, Vizag, Chennai and Kolkata. The shortlisted candidates will be intimated through E-mail. How to Apply: The interested candidates may apply in the enclosed format along with copies / documents in support of educational qualification and experience profile at given below address. Envelope containing the above should be clearly superscribed with APPLICATION FOR PORT BLAIR.